It will be Sunday 20th May 2018, so make sure it is in your diary. The Back on the Beat Cycle Sportive 2018 will again offer two routes; a 50km intermediate route and a more challenging 99.9km route. Both routes start and finish at The Harrogate Police Treatment Centre, St Andrews. However, the event isn’t just about raising heart rates – the 2017 event raised a staggering £13,407.61 and we need your help to beat that target in 2018. Sir Gary Verity, Chief Executive of Welcome to Yorkshire, supported the event on the day by talking to cyclists before the ride began and participating in the 50km route himself. 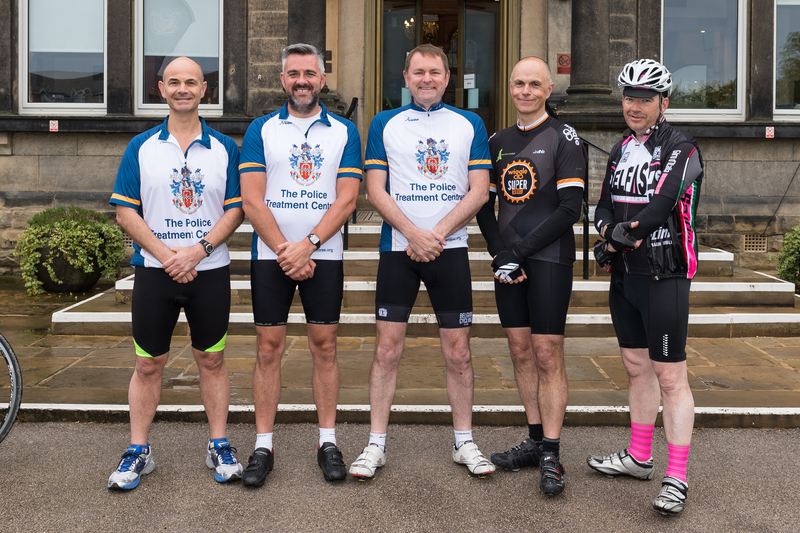 The PTC was delighted to welcome Sir Gary to the PTC and for his attendance in their first ever sportive. A big thank you to everyone that took park today, all our fantastic volunteers who helped it all run smoothly, and especially Pete Oram at England Police Rugby Union & RTB Sportives for their hard work in the lead up & today to make it all possible! Building on last years feedback there may be some changes to the published routes.